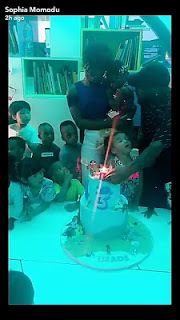 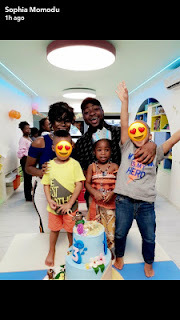 Davido and the Mother of his first daughter, Sophia Momodu have both put their difference aside to turn up for their daughter's third birthday party. 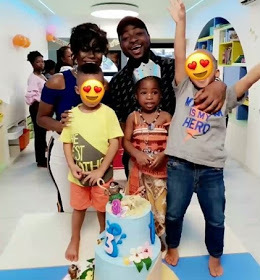 This is coming few days after they both threw shades at eachother on social media allegedly because of the porsche he got his girlfriend, Chioma. The daughter, Imade birthday was celebrated at her school, see more photos below.